Worksheet 1: YOUR INVISIBLE KNOWLEDGE GOLDMINES Congratulations on finishing Video Training #1! 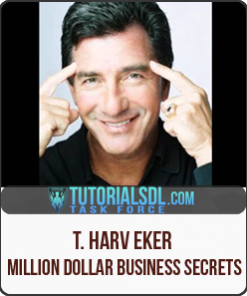 Now that you’ve finished Training Video #1, you know exactly how to find that big “million-dollar idea” for your business. You also have the knowledge it takes to follow through on that idea, and start your own Automated Income business. We’re in the middle of a Digital Revolution, where millions of jobs are being destroyed or replaced by automation, robots, and software. Worst of all, our education system continues to teach knowledge and skills that will soon be replaced by these technologies. That said, the Digital Revolution has created a huge opportunity for what we call “Automated Income” businesses – or, businesses that leverage selling information products digitally. Best of all: they can’t be replaced by machines. Automated Income businesses have little risk, zero inventory, and require no technical skills to start up and run. They allow you to make money passively. All you need is some kind of information (i.e. knowledge) that other people will pay to access. People who take advantage of this trend early on will be able to profit massively. Our automated income business, for example, has generated over $10 million in revenue from selling just a handful of information products. And we’ve been able to continue making hundreds of thousands of dollars every year from those very same products – all while traveling the world and rarely stepping foot inside an office. Literally everyone in the world has some sort of innate knowledge they can teach others in the form of an information product. They just don’t realize it because they’re approaching the subject entirely wrong. But you won’t because you’re watching this special training series. Uncovering your hidden knowledge goldmine is as simple as identifying a specific group of people who are the most desperate for the information you can teach. All you need to ask yourself is this: What am I better at than a specific group of people? If you were a billionaire and never had to work, what would you do in your spare time? What could you do for 3 years straight, without getting paid? What do you enjoy doing for fun on the weekends? What kind of subjects, topics, or areas are you interested in, or feel naturally drawn to? What are you excited about? ➔ What do you frequently read about? What kind of accounts do you follow on social media? What were some of the things you loved doing when you were a kid? Think about the people you most aspire to be. What do they do for a living? 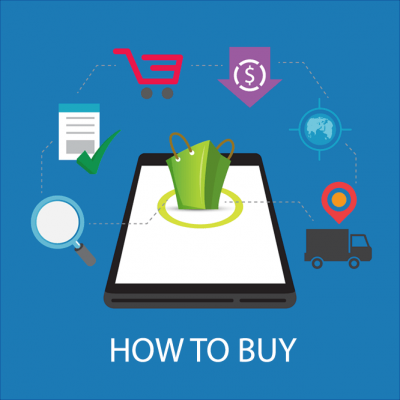 Look at your book or Kindle collection, credit card statements, website history, or subscriptions…do you notice any common themes in the type of purchases you make, or content you consume? Next, fill in the “amount of people” and “skill level” relative to each topic in the Skill Level Index graph. Remember, don’t overthink this! It should be really easy to do. Once you’ve filled in those values, mark and label where your skill level is at on the graph for each topic. You’re almost done! Now, it’s time to narrow it down to just one idea to move forward with. Go with your gut here, and pick the idea you care about the most or feel is your favorite. Be sure to write it down in the space below, as you’ll be using it throughout the rest of the training series. Congratulations on finishing Video Training #2! Now that you’ve finished Training Video #2, you have the knowledge it takes to successfully package and sell a million-dollar product idea. Never exchange your time for money. You severely limit yourself, and your potential income, by doing such. The critical component to achieving financial freedom is selling value for money (instead of time). 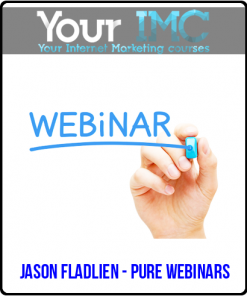 Information products, like online courses, are the best kind of valuable assets you can create and sell over and over again…an unlimited number of times. Information products are virtually fail-proof because people will always have problems that need to be solved in their lives. The key to selling information products well is all about the way you “package” your information. You want to focus on the life-changing transformation your information delivers above all else. Coming up with a million-dollar product idea is easy using our Profitable Product Framework, which has been tested and proven its worth time and time again. Every single one of our own multi-million dollar products, along with those we helped create for others, has started out using this Framework. Congratulations on finishing Video Training #3! Now that you’ve finished Training Video #3, you have the knowledge it takes to create a killer marketing funnel that completely runs itself, and repeat the same process with new products in order to extract even more revenue from your existing customer base. This simple, easy to use marketing strategy is what we’ve used to generate millions in revenue for our own products. 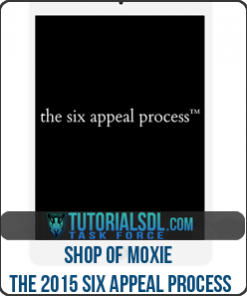 The best part: you can easily turn your funnel into an automated system that runs passively. 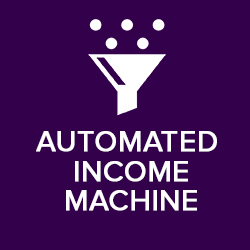 Automated Income systems are like “robot” employees that work for you 24/7. You only need to set things up initially – just once. After that, your robot “army” will automatically do all the work for you, for as long as you want it to. After you’ve created your first Automated Income system (for your first product), you can multiply your income by doing something we call Value Stacking. Value Stacking essentially means you create and offer your customers new automated products. When they purchase a second, third, even fourth product from you, their “value” as a customer stacks — as does your value as a solution provider to them. The Simple Product Launch Funnel & Automation. Remember that you only need to draft and setup each piece of the funnel (i.e. the optin page, emails, sales page) just ONCE! After that, you’ll automate the process so that each new user goes through the exact same funnel – no matter when they sign up. Every time you create a new product and therefore a new automated product launch funnel (like we just did above), you can put your existing email list through that new product’s automation. 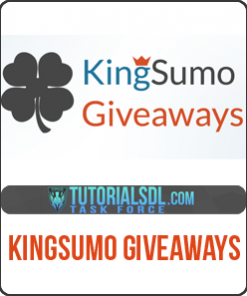 Your list will receive the content emails, sales email, and links to the new product’s sales page. As a result, you’ll make even more money from the exact same user base – simply by letting them know about your new products. Let’s say my first product, a $100 course on potty-training your dog, is doing about 50 sales per month, which comes out to $5,000 a month. Now that my business is automated, I have some free time. I decide to make a second product after hearing a lot of my customers complaining about their dog’s leash-pulling. The new course will teach people how to stop this bad behavior when walking their dogs. I spend the next month creating this new product. And sell it for $100 as well. Now I have TWO products to sell. Again, the first one is generating $5,000/month in sales. And the new leash-pulling course is generating another $5,000 from new customers. Many of the same people who bought my first course on potty training will ALSO buy my second course on leash-pulling. Let’s be modest and say only 20% of them buy both courses. 20% of 50 customers is another 10 purchases per month. That’s another $1,000. So, just by adding 1 more course, you went from $5,000/month to over $11,000/month. Value stacking literally multiplies your revenue within your existing customer base. Similarly, that customer “stacks” your value as a service provider with every new product you release, too. You solved multiple problems for them with your products, and therefore are even more valuable in their minds as well. It’s a huge win-win. In the space provided, brainstorm at least 5 other problems you could solve with new products (they should all be related to the single overall topic you selected in Worksheet 1). Refer back to the Profitable Product Framework. Note that you do not need to come up with format, audience, strategy, or price just yet. Only brainstorm additional problems you can solve that are related to your overall topic. WHAT IF YOU COULD START YOUR OWN SUCCESSFUL ONLINE BUSINESS WITH THE HELP OF A PROVEN SYSTEM? The only online business training system in the world that teaches you how to launch your own “Automated Income” business in just 12 weeks. This advanced course contains everything we’ve learned over the last 6 years building two online businesses to multi-millions in revenue (over $10.8 million dollars in digital products sold to over 32,000 happy customers in 81 different countries). Now you can use our step-by-step video training lessons, fill-in-the-blank templates, and private entrepreneur community to find your “big idea,” create lucrative digital products, and automate the marketing and sales of your entire business. By the end of this 12 week course, you’ll know how to build your own online business and know exactly what steps to take to continue growing your business to 6, 7, or even 8 figures in the future. 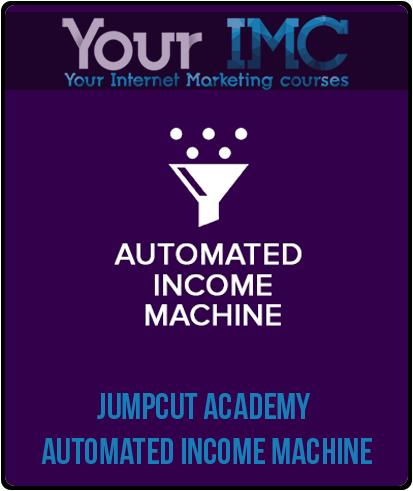 Automated Income Machine is the only online business course in the world that takes you from no idea to near fully-automated digital product income. And perfectly prepares you to profit from the current Digital Revolution.